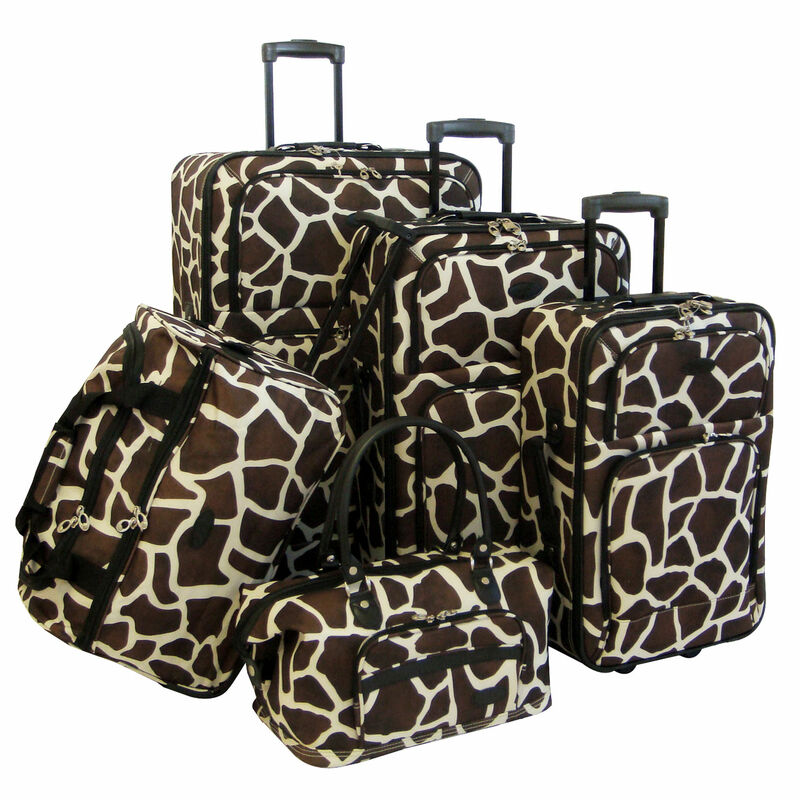 The Giraffe Animal Print 5-Piece Luggage Set by American Flyer offers a spectacular departure from the more mundane luggage color schemes and patterns. The animal print will surely stand out in any airport as style meets form and function. The set includes a 28″, 24″ and 20″ Uprights, Wheeled Duffel and Tote Bag, covering all of the essentials! Start traveling in style with the Animal Print 5-Piece Luggage Set from American Flyer.